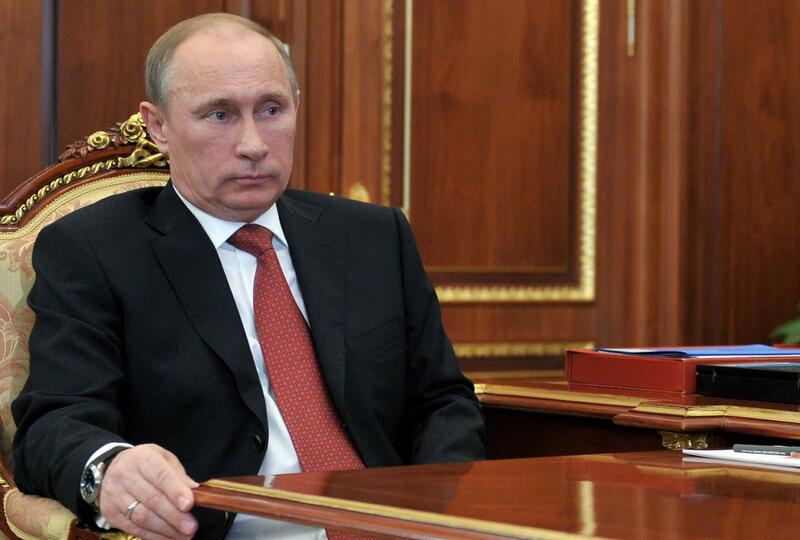 Russian President Vladimir Putin attends a meeting in the Kremlin in Moscow, on April 15, 2013. I put up a quick story last night on the long and ignored history of American criticism vis-a-vis Russia’s policies in Chechnya. “Policies” is a weasel word, anyway: Since the late ‘90s and the second Chechen war, American hawks (I occasionally say “conservatives” in the piece, which is also true) have been enormously skeptical of Russia’s crackdown efforts, and credulous when Chechens have described “false flag” attacks against them. And then in the last 96 hours we’ve seen American commentators and politicians ask whether Putin was right all along. You don’t remember, I take it—or never bothered to find out—that the original Chechen uprising against the Russians was not Islamist (it was led by a former Soviet general named Dudaev, who was not a salafist by a long shot) The means the Russians under Putin used to crush it were barbaric beyond belief, breeding, in part, the problem they’ve now got. But instead, you needed to write something about neocons, which is a much easier thing to do.